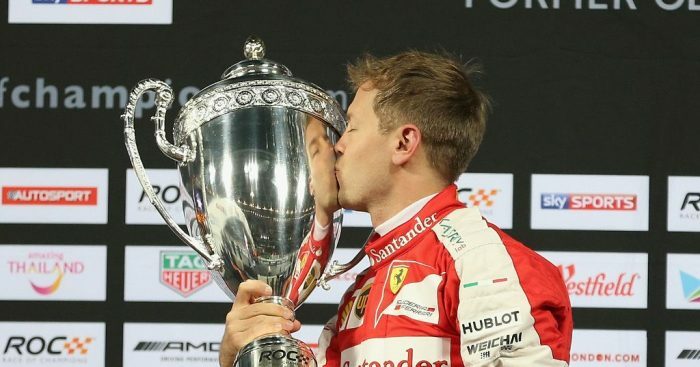 Sebastian Vettel will return to Mexico City in January to take part in the Race of Champions. The race pits some of the best drivers from the world of motorsport up against one another in different cars on a purpose built track. Vettel has won the title several times, including six Nations Cups with Michael Schumacher and again in January last year where he single-handedly won it. He also won the Champion Of Champions title in 2015. “I’m delighted to be coming back to the Race Of Champions, which has been a regular part of my racing life ever since I arrived in Formula 1,” Vettel said. “All the drivers who have the honor to participate in ROC fall in love with the event. That’s because it reminds us all about why we first started racing; pure competition in identical cars. “Now ROC Mexico promises to be an amazing event in the spectacular Foro Sol, which is already a favorite for us F1 drivers and fans all over the world. I think this will be an ideal venue for the Race Of Champions, which has always been about making sure all the fans can see every corner of the action. The 2019 edition of the Race Of Champions will take place on January 19-20 at the Autodromo Hermanos Rodriguez.